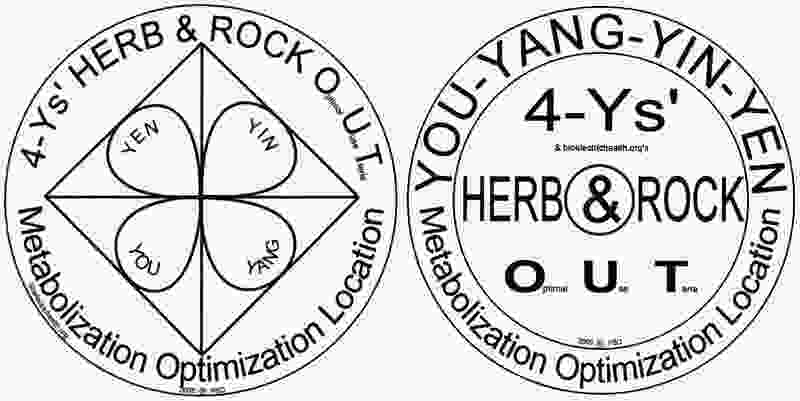 "OUT [Optimal-Use-Teria, as opposed to a Cafe-Teria, or an 'INN (Individuals' Nutrificational Necessities)']"
Offer to its clients a souvenir of their patronage and a symbol through which they may introduce the ideas of, "Metabolization Optimization," to others. Introduce the constituents of the DREGS to a less geopolitically oriented token of economic interaction for their use as a means of constructing fair business transactions for the purpose of decreasing the dissonance between, "Nationally Oriented Tokens of Exchange (NOTEs)," by fortifying people's ability to produce those NOTEs via their own efforts at, "Metabolization Optimization (M-O)." Try to teach the idea of how profit and loss is reflected in the comparative alteration of NOTE values to my fellow DRAGSters before the rest of the DREGSters wind up with a lot more of we DRAGSters hypothetical, "GOTEs (Globally Oriented Tokens of Exchange)," for the purpose of maintaining, as well as possible, the stability of Earth's whole Stadium/Arena throughout a projected protracted deindustrializing period in its future history—the next forty-five years—starting from 2000 and continuing on until, "The Empty Tank". Get the M-O going before too many DRAGSters start to think that destroying the planet is a very great idea, because they have been inculcated into believing that that such a dismal scenario is actually, "Meant to be," possibly on the grounds that an aged person that was locked up for a long time for their belief wrote about a dream that they had regarding how, "The End," was to occur, whose dissemination could be agreed to as paying off for an allegedly better other worldly organization. Skipping any and all of my personal axiological conjecture evaluating ideation originating from a theologically oriented organization here, my prima facie observation is that: as people think more that they can't go on, they commit greater amounts of irrational acts, some of which may actually be intended to harm the health and wellbeing of others, the larger orchestrations of which are called, "Wars." In order to keep the instigation of irrational activity down to a minimum throughout the possible remanualization, due to deindustrialization, period of human history, it is incumbent on people to optimize their metabolization of substances, so that they can be better equipped to endure the stress level elevations indigenous to such phenomena. As it is, the DRAGSters have the most to loose from deindustrialization, as they presently inhabit the most industrialized geopolitical region at Earth. Thus, they have the highest need to optimize the efficiency of their metabolization of substances, so that they can get through Earth's deindustrializing period with as much hope as as possible. Due to the material's presented in, "#4," here, coupled with the fact that America holds the keys to the most destructive arsenal around Earth at this time, it would be wise for competing nations to help the DRAGSters maintain their hopes of existence during and beyond the probable period of the amount of industrialization's attenuation. Maybe the concerted effort of all of the available parties' to get the DRAGSters back up on their feet will help them see that manual labor has its advantages and their reintegration to a more manual lifestyle will help them feel well enough to keep them from going crazy enough to blow everything up. More of my ideas pertaining to this effort will be posted under the heading: Operation MOLE HOLE. And the final question of this page is... Would you rather be fish on a dish than a mole in a hole?